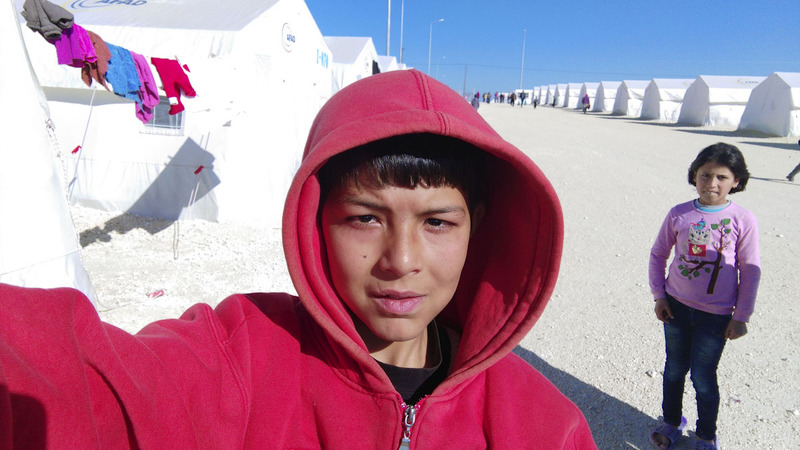 Refugee in Suruc camp since last September, when the ISIS stormed into Kobane. People knew how cruel they were and run away in great hurry. After the liberation from the ISIS, his cousin has gone there to help clean the town from dead ISIS members bodies. His opinion is that the ISIS are killing whoever don’t want to ally with them, saying they are infidels. He knows it will take time to clear all the rubble, to rebuild, but he can’t wait to go back to school, he wants to become an engineer and help rebuilding his town. Alongside, he would also want to become a Peshmerga and fight for a Kurdish state, because he saw how Kurdish people across the borders, always help each other.